Alison MacLeod is a novelist and short story writer. Her most recent book, the story collection All the Beloved Ghosts (Bloomsbury UK/USA and Penguin CA), was shortlisted for The 2018 Edge Hill Short Story Prize for best single-author short story collection in the UK and Ireland. It was a finalist for Canada’s 2017 Governor General’s Award for Fiction and named one of the Guardian‘s ‘Best Books of 2017’. Her most recent novel, Unexploded (Hamish Hamilton UK and Penguin Canada), was long-listed for the 2013 Man-Booker Prize for Fiction, named one of the Observer‘s ‘Books of the Year’, and serialised for BBC Radio 4 (Sweet Talk Productions). It is also optioned for film. She is currently at work on her next novel for Bloomsbury and Penguin Canada, for publication next year. Alongside her writing, she is Director and Commissioning Editor on the new Arts Council England & National Lottery funded project ‘The Stories We Tell’, in partnership with The Arvon Foundation, The British Library and New Writing South. The project has the kind support of Sweet Talk Productions and Word Factory, and launches in late summer/September 2019. MacLeod was born in Montreal, Quebec of Nova Scotian parents and was raised primarily in Halifax, Nova Scotia. Her family’s roots in Nova Scotia are several-generations deep, and she visits family there each year. She has lived in England since 1987 and is a citizen of both Canada and the U.K. Brighton, England is her adopted home. Her earlier work includes the novels The Changeling (1996) and The Wave Theory of Angels (2005), and the short story collection, Fifteen Modern Tales of Attraction (2007). Her short fiction has been awarded The Society of Authors’ Olive Cook Award and nominated for The BBC National Short Story Award and The Sunday Times EFG International Short Story Award. Her stories are often broadcast on BBC radio. In 2016, she and William Atkins were jointly awarded The Eccles British Library Writer’s Award. The award is made possible by the generosity of the Eccles Centre at the British Library. MacLeod has served as a judge for various literary prizes and awards, including The Frank O’Connor International Short Story Award, The Mslexia Prize for Fiction, The International Manchester Fiction Prize, The London Magazine Short Story Prize, The Brighton Short Story Prize, and The Charleston-Bede Award for Lifetime Achievement in Short Fiction, most recently awarded to A.S. Byatt. She is Associate Editor of Short Fiction in Theory and Practice (Intellect Books) and has been a guest on the BBC programmes Open Book, Front Row, The World Tonight, Free Thinking, The Verb and Woman’s Hour. She has appeared at numerous literary festivals, including The Sunday Times Oxford Festival, The Cambridge Literary Festival, The Cork International Short Story Festival, The Charleston International Festival, The Jaipur Literature Festival, The International Festival of Authors (Toronto), and The Hong Kong International Literary Festival. She has also been an occasional contributor to The Sunday Times, the Guardian, Prospect and The Ottawa Citizen, and has undertaken writing residencies with the British Library’s Eccles Centre, Raffles Hotel (Singapore), the Banff Centre (Canada), The Pari Center (Tuscany), and The Ditchling Museum of Art + Craft (UK). 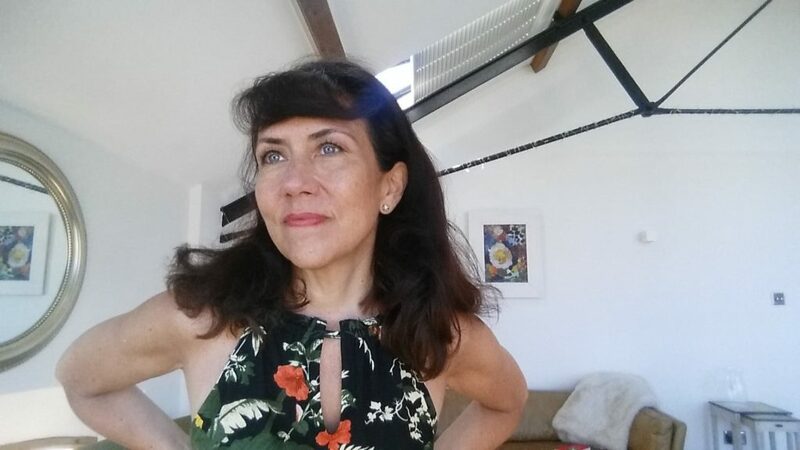 MacLeod has 25 years’ experience of teaching under-grad and post-grad literature and creative writing courses; also of programme and curriculum design, and Ph.D. supervision and examination throughout the UK. From 2009-2018 she was Professor of Contemporary Fiction at the University of Chichester. Many of her students have gone on to publish, and to win awards and nominations. She now writes full-time and continues to contribute to the University of Chichester as Visiting Professor of English and Creative Writing. She teaches, mentors, and leads writing workshops by invitation on an occasional basis. For news of her upcoming readings, courses and events, please see the ‘News’ page. For enquiries, please see the Contact page.